Croatia Hotel Cavtat is a luxury hotel located on a peninsula on the southernmost tip of the country in Cavtat, Croatia. The nearest beach is 500m away from the hotel. The hotel houses two beautiful swimming pools on its premises. Almost all the 487 guestrooms have a sea view and are tastefully decorated with bright colours, giving the guests an apt feeling of a beach holiday. The hotel features 6 restaurants and bars on its premises that serve a varied range of delicacies from international and local Croatian cuisines. The hotel also houses an upmarket spa and wellness centre, which happens to be the only exclusive luxury spa and wellness centre in Cavtat. The idyllic location of the hotel, set amidst the lush green vegetation and the sea, makes it for an ideal holiday destination for someone looking for a relaxing vacation. Proximity of the city serves as an added bonus. 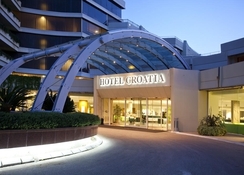 The Croatia Hotel Cavtat is located just 5.6km away from the Dubrovnik Airport and 55.9km away from the Tivat Airport. The town of Cavtat is just 1km away from the hotel. The closest beach is 500m away from the hotel. The Cavtat Bus Station is 3.9km away from the property. Zagreb, the capital city of Croatia, is 624km away from the hotel. Popular landmarks and tourist attractions like the Saint Nicolas Church, Bukovac House and Gallery, Cavtat Promenade, Church and Monastery of Our Lady of Snow, Račić Mausoleum, Underwater Museum Cavtat, Sub City Shopping Centre, St. Jakov Beach, Lokrum, Ploce Gate, Orlando Column, Onofrio's Fountain and Pile Gate are located within a distance range of 11km from the hotel. 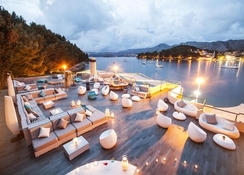 The Croatia Hotel Cavtat has 487 tastefully decorated rooms with modern and contemporary architecture that ensure the guests have a luxurious and a lavish stay they desire and expect. The rooms are further categorised into 8 types based on amenities, facilities, space and number of occupants. Classic Room, Superior Room with Sea View, Superior Room with City View, Deluxe Room with Sea View, Junior Suite with Sea View, Executive Suite with Sea View, Ambassador Suite with Sea View and Presidential Suite with Sea View are the options available. All the rooms have a balcony or an attached terrace. Air-conditioning, direct dial telephone, dry cleaning service, en-suite bathrooms, bathtub and shower, flat screen TV with satellite channels, free Wi-Fi, hairdryer, laundry service, mini bar, safety deposit box, 24X7 room service, hairdryer, bed linen, bath linen, essential toiletries, etc. are some of the facilities available at the room. The Crotia Hotel Cavtat has 6 restaurants and bars on its premises that serve a wide range of delicacies from local Croatian and numerous international cuisines. 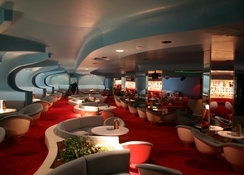 The restaurants serve breakfast, lunch, dinner and snacks in buffet and A’La Carte style. The bars serve local wines, beers, alcoholic beverages, signature cocktails and non-alcoholic beverages. The hotel houses Spinaker Restaurant & Lounge Bar, Steakhouse Restaurant, Cavtat Buffet Restaurant, Alverde Restaurant and Bar, Piano Bar and Sirocco Bar. The guests can also choose to visit Cavtat, which is nearby, and try local eateries and bars. 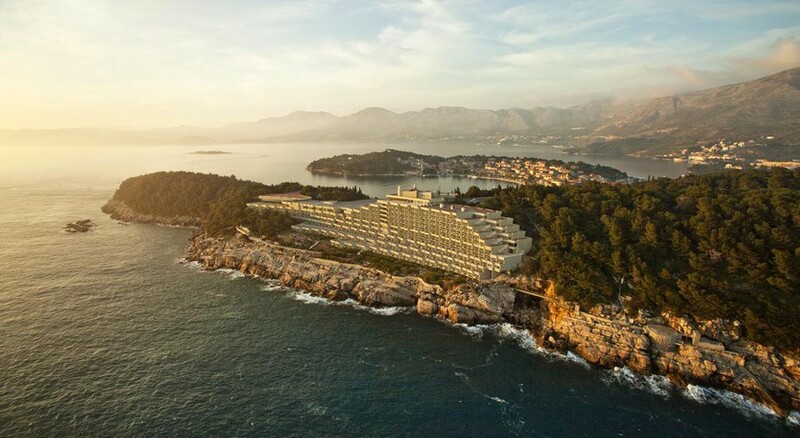 The Croatia Hotel Cavtat houses 2 enormous swimming pools, for both adults and children, which serves as an excellent recreational aspect of the hotel. The hotel also has an amazing pool bar for guests who’d like to relax by the pool and enjoy a cocktail. The guests can also avail various massage therapies and treatments offered by the in-house spa, which happens to be the only 5-star spa in Cavtat, and pamper themselves. For kids, the hotel has clubs and playgrounds on its premises. Guests can also indulge in water sporting activities like diving, snorkelling, fishing, among others. The guests can enjoy sunbathing at the nearby beach. If interested, one can hire a rental car and visit the nearby towns and indulge in sightseeing, shopping. Etc. 10 minutes from airport,stunning views,5 minute walk to local shops,bars and restaurants or to catch bus to dubovnik which is about 20 minutes away. So much to see were out all day every day then had lovely evening meals followed by relaxing time in the bar listening to a variety of different entertainers each evening. Staff pleasant and informative. Would definitely visit again! We had a really good holiday staying at the Hotel Croatia Cavtat with our 2 year old daughter and in laws. 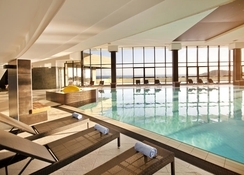 The facilities are good with the indoor pool just warm enough to swim in with the little one. Food is nice with sufficient variety for a one week stay. Staff were friendly and organised for us to move rooms so we could be next door to our family. Main negative is the price of drinks in the hotel - much more expensive than in Cavtat itself however on the whole I would give the hotel 4 stars.